Blend everything together until smooth and a foam has formed. Note: you can replace the agave syrup with any sweetener you prefer. 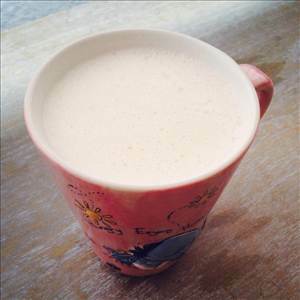 There are 140 calories in 1 serving of Chai Breakfast Shake. Calorie break-down: 23% fat, 70% carbs, 7% protein.